So easy, so tasty, so fun to make. Heat oven to 375° F. In a large bowl, combine ground pork, onion flakes, corn flakes, salt, pepper and egg. In a small bowl stir together ketchup, brown sugar and dry mustard. Spoon 2 tablespoons of the ketchup mixture into the pork and mix well. Spray muffin tin with vegetable cooking spray. Form 6 meatballs and place in muffin tin. 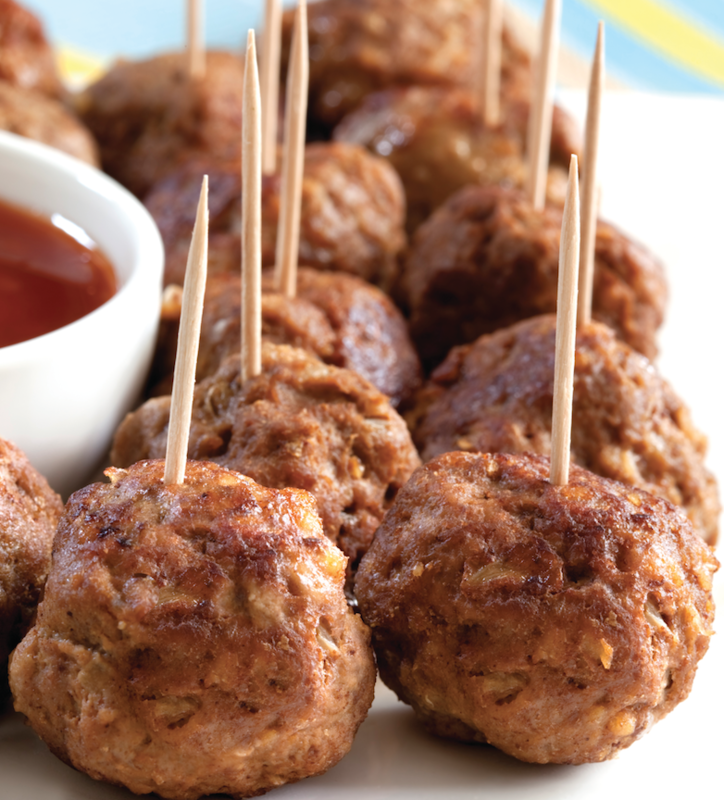 Coat the top of each meatball with the remaining ketchup mixture. Bake for 30 minutes, until nicely glazed and internal temperature is 160° F.